LG versus Samsung is probably the most searched comparison in appliances these days. Samsung is now the number 1 sold single brand with LG being the second fastest growing. You might have Googled the comparison for this search. If you are looking for compact laundry, there is no comparison. Both brands are totally different in their application. In this article, you will learn what compact laundry is and how it differs from regular laundry. You will also learn the difference between the types of dryers which is more important than the washer. 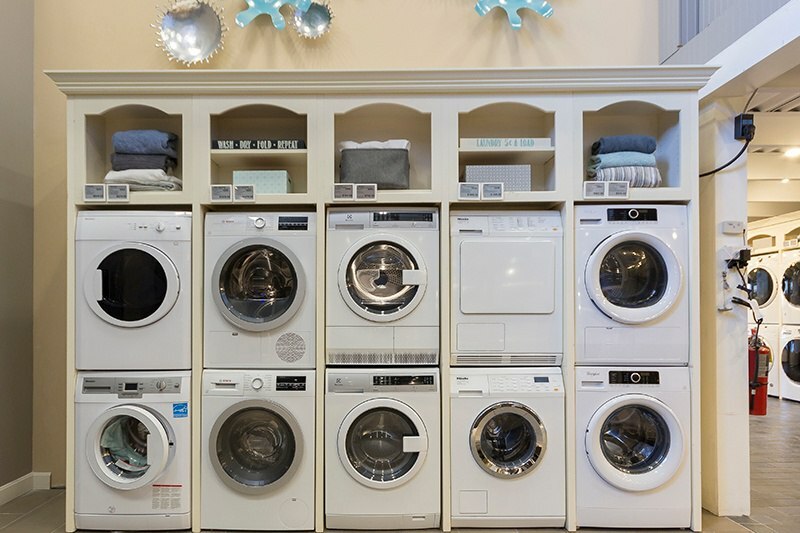 What are the different types of Dryers? 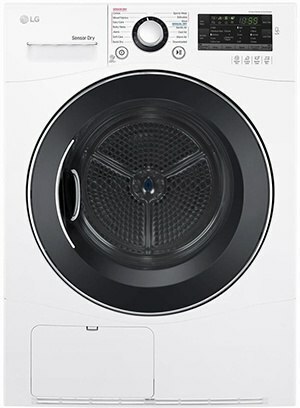 LG and Samsung compact laundry? Then we will compare both sets to every major compact laundry manufacturer in all categories. What’s the difference between LG and Samsung compact laundry? Compact laundry is smaller 24-inch width washers and dryers. Why is 24 inches so important? It is designed to fit within the standard 24-inch cabinet like a dishwasher. You can place compact laundry anywhere with power and water, stacked in a closet or in a kitchen. It is popular in Boston with smaller spaces in higher end condos. You can also place compact laundry on the bedroom level, because many units do not need to vent outside. For most regular laundry, the dryer is vented to the outside. Yet in compact, only Samsung, Blomberg and Asko can vent to the outside. Condenser: Still uses elements to dry and a condenser to turn the steam to water. Bosch, Electrolux and LG are the common condenser manufacturers. Heat pump: Newer technology in drying, heat pump uses a compressor and stores the heat better. Heat pumps are the most efficient dryers Miele, Whirlpool and Blomberg have heat pump now. There will be plenty more in the future. Now, we will compare the Samsung vented vs. the LG non-vented compact laundry. 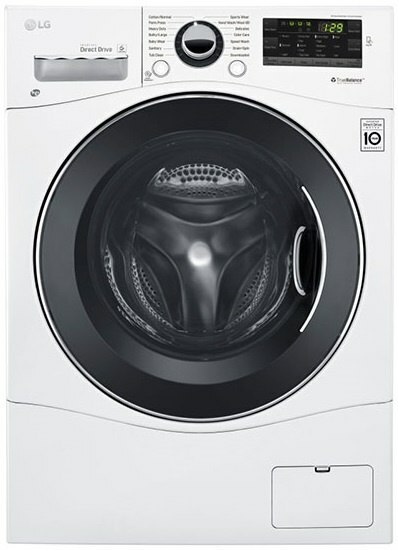 LG also features a 10-year warranty on the direct drive washer motor, NFC Tag on (an app based system to download cycles or for service related options). Samsung is vented whereas LG is ventless. You would buy based on whether you need a vent. That would normally be the end of the comparison. However, let's make this worth your time. Vented: Samsung is the best only due to the lack of any competition. Blomberg is reliable and is a basic less expensive set. 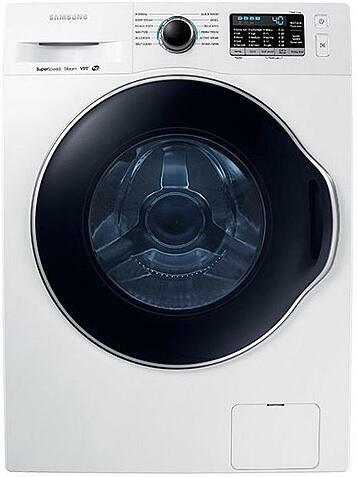 Samsung is bigger with more cycles and has steam to help power out stains. However, it can cost $400-500 more than a decent Blomberg. Non-Vented: Miele is the best with a revolutionary new 110-volt heat pump and the best washer, but it is almost $4,000. Bosch is the most popular, because it has decent features in even their basic unit. Bosch’s best unit can wash by stain type as well. Both Miele and the better Bosch are app driven and can be operated by your phone. 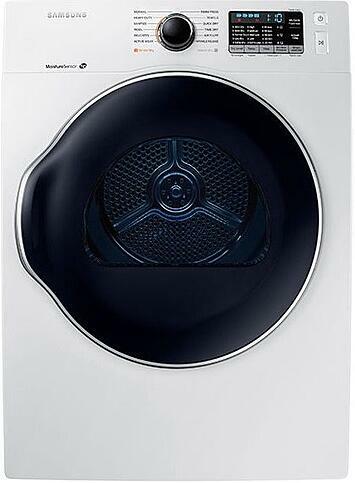 Electrolux is not as widely sold but features steam in the washer like the Miele. LG has the advantage of being less expensive although not as widely sold in a compact. We do not sell LG compact units. Samsung would be the best vented compact laundry set while LG would be the best price and least featured in a more crowded ventless selection. For both, you should check service as neither have a service department. It could be a wait in certain areas for even routine calls. 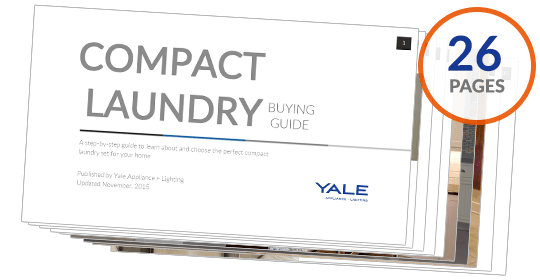 Download the Yale Compact Laundry Buying Guide with specs, features, and buying tips to every major brand. Well over 355,000 people have read a Yale Guide.